Revision Step 1: Delete for Summary and Description! Summaries and Descriptions may be where your voice shines through most clearly. If you aren’t sure what your voice is, here is a great place to look. This area is one that can help define the genre you are writing and every genre comes with its own expectations. Regardless of genre, there are guidelines for good summary and description. I attempt to touch on these. Serves one purpose. Good summary and description should do as many as possible of the following: unify the story, ground the reader, establish or intensify mood, develop character and world, show physical and emotional reaction, introduce or develop background, set up or fulfill reader expectations, foreshadow, increase suspense, raise tension, trigger an event (or mini-event), compress time, influence characters. Poor placement. Large chunks of summary and description just don’t work in the middle of intense action because it slows the pace. One of the exceptions is when you want to stop all forward action – maybe create the impression of a frozen moment of time or a slow motion sequence. Dragging pace. Delete any summary and description that is not essential to the story at that moment. If it is important later, put it later (unless you are deliberately foreshadowing or using similar techniques). This strategy of spreading out crucial information (and if it isn’t crucial it shouldn’t be there at all) can increase reader curiosity and engagement. The largest amounts of summary often happen during transitions and transitions are particularly vulnerable to mistakes that slow the pace of the story. Out of character. No matter what POV you are using, you are still using a point of view. Point of view influences what you can mention. Delete anything the character would not notice. Each of your characters will notice some things but dismiss others, be repulsed by this and obsess over that. POV is affected not only by attitudes and preferences but the current state of mind. A person who just visited a dying friend probably won’t revel in the glorious sunshine but notice the flies on the trash heaps instead. Or maybe that person (being an individual) would do the reverse. When you use multiple points of view, you may want to show the reader the same setting with this in mind. Delete summary and description that is out of character at that moment. This is Part 3 of a series of five blog entries that look at deleting to improve Style, Events, Summary and Description, Characters, and Dialogue. Alberts, Laurie. Showing & Telling. Cincinnati: Ohio, Writer’s Digest Books, 2010. Bickham, Jack. Setting. Cincinnati: Ohio, Writer’s Digest Books, 1994. Rozelle, Ron. Description & Setting: Techniques and Exercises for Crafting a Believable World of People, Places, and Events. Cincinnati: Ohio, Writer’s Digest Books, 2005. Posted in Revisions, The Process.Tagged Description, draft, nanowrimo, national Novel writing month, pace, POV, revising, revision, revisions, summary, writing, writing scene, writing scenes, writing style, writing tips, writing voice. 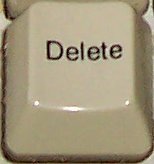 Next Post Revision Step 1: Delete for Character!